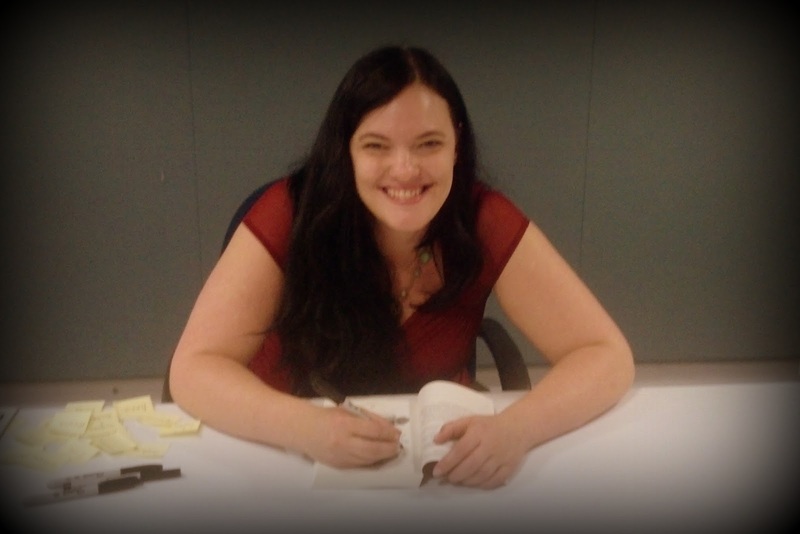 A few weeks ago, I had the opportunity to attend an event featuring Catherynne Valente, author of the The Girl Who Circumnavigated Fairyland in a Ship of Her Own Making and the newest release, The Girl Who Fell Beneath Fairyland and Led the Revels There. I shared all about my surprising and very enjoyable experience via Walrus Publishing late last week. Click on over and check out who also appeared, teaming up with this imaginative author! For a little hint, I leave you with a little book trailer of Valente's first young adult novel . . .
Have you read any of this series yet? How about any adult titles by this author? Please share your thoughts! Actually, I haven't heard of Catherynne Valente, but did a quick google on her and wow, Wikipedia says she " tours with singer/songwriter SJ Tucker, who along with her own varied discography composes albums based on Valente's work. The pair perform reading concerts throughout North America, often featuring dancers, aerial artists, art auctions featuring jewelry and paintings based on the novels, and other performances." Ha! Ha! I just read your article and you describe what I just mentioned. Too funny.